We are licensed and insured professional exterior preservation consultants. 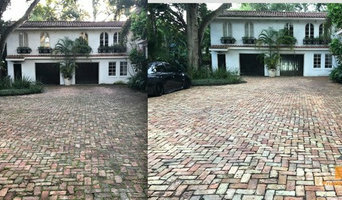 We pressure and power wash exterior surfaces removing slippery mold,dirt and grime build up. cleaning Pool Decks, Decks, Driveways, Fences, House exterior, Patios, Gutters, Graffiti, sidewalks and much more. Customer's Choice Janitorial Services is a commercial cleaning contractor / janitorial service serving the Lecanto, FL area. Services include Commercial Cleaning, Office Cleaning, Carpet Cleaning, Floor Stripping, Floor Cleaning, Janitorial Services, Construction Cleaning, Porter Services, Restaurant Cleaning, Retail Cleaning and Green Cleaning. Serving towns of Ocala, Spring Hill, Brooksville, Hudson, Inverness, Dunnellon, Homosassa, Summerfield, Crystal River, Wildwood, Belleview, Beverly Hills, Bushnell, Hernando, Floral City, Lecanto, Webster, Reddick, Lake Panasoffkee, Oxford, Center Hill, Sumterville, Coleman, Nobleton, Bayonet Point, Citrus Hills, Citrus Springs, Fairfield, Hernando Beach, Holder, Homosassa Springs, Istachatta, Lacoochee, Lowell, Masaryktown, Pine Ridge, Ridge Manor Estates, The Villages, Trilby and Weeki Wachee. An owner operator with 10 years of experience means you never have to be someone's learning experience. We Specialize in all aspects of the Pressure Washing Industry. Everything from Homes, Driveways, Pool Enclosures, Roofs, & Privacy Fences, to Commercial Store Fronts, Sidewalks and commercial vehicle cleaning. We use industrial grade hot water pressure cleaners, environmentally friendly chemicals, and years of experience that will have your property looking its best. Guaranteed! We pride ourselves on attention to detail. Whether its our use of Plant and Animal friendly chemicals, Industrial grade equipment, or keeping up with new products and techniques Our commitment to our customers surpasses the competition. We promise to provide, prompt, courteous service at a reasonable price GUARANTEED! The owner of King David became interested in the rejuvenation of brick pavers while working with tile and grout on the inside of homes. While cleaning tile he often looked outside to patios that were screaming for help. 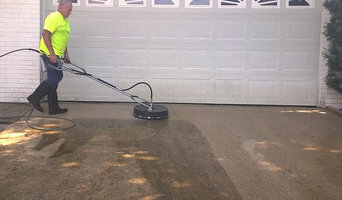 King David combines trusted techniques to bring your pavers back to life. Our team of excellent technicians is professional and clean cut. Rather than delivering a sales pitch, we listen to our customers thoroughly to ensure we create the results each homeowner is looking for. King David takes pride in our attention to detail, maintaining cleanliness at the job site, and expressing a positive attitude throughout the process. Our policy is to walk each client through the entire job to make sure they are happy with every detail. We make changes wisely, retaining the integrity of our work quality with every company decision. King David in Lutz is excited to rejuvenate your beautiful spaces for you to enjoy for many years to come. Get a meticulous pressure wash from Eric's Pressure Washing and Lawn Care. For more than 25 years, we have been seeking to meet and exceed all of your expectations. Our commitment to excellence in the cleaning field is unmatched by our competition. See what sets us apart today. Call for an appointment and leave the cleaning to us! Melton's Maintenance offers the best professional affordable Services. We specialize in Pressure Washing, Aluminum Screen Installations and Pool Deck Renovations. We have special dedicated divisions for each of our group of companies. When you want the job done right the first time, by a company you will be proud to tell your neighbors about, then please call us! All of our workers are full time employees NOT sub-contractors. At Melton's Maintenance our goal is to provide our customers with the best possible experience. All our work is guaranteed. Property Owners and Home Owners trust Pressure Plus Services to maintain their properties and grounds with our professional pressure washing services. We can brighten your exterior grounds and building by pressure washing away dirt, grime, debris, moss & algae. Our eco-friendly pressure washing complies with all federal, state and local waste-water regulations. Get sparkling clean ground, surfaces & buildings, guaranteed. We are licensed and insured. Pressure Washing / Power Washing references are available upon request; our clients privacy and confidentiality is of utmost importance. Riptide specializes in large volume exterior building and roof cleaning. We have the biggest cleaning rig in all of Florida which allied us to clean much faster than other vendors. Riptide supplies all of the water to complete our services. What do Citrus Hills, FL exterior cleaners do? 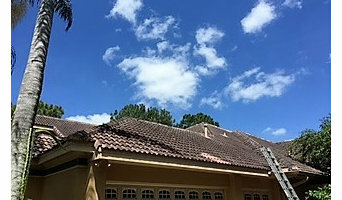 Find exterior cleaners in Citrus Hills, FL on Houzz. Search the Professionals section for Citrus Hills, FL exterior cleaners or browse photos of completed projects and look for the exterior maintenance professional’s contact information.